What if you could get recommendations from your favorite food, style, design and healthy living celebrities on the products they love, and get those products at a big discount? That's what OpenSky is all about. You choose which celebrities you want to follow — from star chefs Bobby Flay and Tom Colicchio, to style guru Veronica Webb, to actress and wellness expert Mariel Hemingway — and each week they will handpick an item they fancy the most and give you first dibs to purchase it at up to 60% off. Each pick comes with a personal story from your celeb on why they love it, along with helpful tips and recipes. OpenSky is completely free to join. And, as a bonus for Techlicious fans, OpenSky is offering a $10 credit for new members toward your first purchase when you sign up here. Once you join, enter our OpenSky giveaway through August 23, 2011 for a chance to win our Grand Prize: $500 OpenSky account credit and our Second Place: $250 OpenSky account credit - that will buy a lot of celeb picks! Signup for our FREE Techlicious Newsletter—be sure to provide a valid email address when you sign-up so we can contact you if you win. Signup for your FREE OpenSky account (New members will receive a $10 account credit just for signing up). Tell your friends about Techlicious and you'll get one extra entry for each friend you tell, up to five additional entries. We will randomly select one (1) $500 OpenSky Account Credit Grand Prize winner and one (1) $250 OpenSky Account Credit Second Place winner from the entries. No purchase is necessary to win. The giveaway will end at 11:59pm on August 23, 2011. Void where prohibited. U.S. residents only. Click here for the full rules. My favorite celeb is Tom Colicchio - love his food and his TV persona. My favorite star is Bobby Flay. What a wonderful cook and entertainer. EcoStiletto, love the products I have seen so far from them. Favorite celebrity on OpenSky is Jeannie Mai; though she doesn’t have any items yet I have always enjoyed her style, personality, and not to mention her being gorgeous. Padma Lakshmi is my favorite OpenSky curator. I am already signed up for both Open Sky and Techlicious! My favorite OpenSky Curator is Bobby Flay! My favorite is Julie Morgenstern. I love, love, love his show on the travel channel! and for those of us with adventure in our hearts some of that stuff doesn’t sound bad at all. Already signed up for both. My favorite is Michael Ruhlman and his cooking deals. Lots of great ones but my fave is Padma Lakshi…she offers not just foodie items but great fashion and design items, too. I am both a Techlicious and OpenSky subscriber. I’m currently an open sky member and love the place! I’m a current techlicious member and love this place too. Already on OpenSky and Techlicious! My FAVORITE curator on Open Sky is Gabrielle Bernstein! Notified three friends about techlicious. Alicia Silverstone is my favorite—what a great person both inside and out! My favorite is Bobby Flay. I’m a newsletter subscriber, just signed up for OpenSky! Awesome deals and good products. My fav celebs featured are Alicia Silverstone and Guy Ferrari. Thanks! I am signed up for both and my favorite celebrity on OpenSky is Alicia Silverstone. I adore Preston Bailey. He offers business and event design advice on his website that is transparent and wise. I’ve sent a client to him and he treated them with the utmost of class and kindness. He is humble and I appreciate his fearlessness to build such a huge business. My favorite OpenSky Curator is Bobby Flay! I’‘m looking forward to Ming Tsai’s recommendations as I re-design my kitchen to reflect my evolving cooking style. Too many curators to pick a favorite! but I want to win! I love EcoStiletto! I have already subscribed to OpenSky and Techlicious. I like several of the curators. I have ordered most from Dorie Greenspan. My favorite celebrity on OpenSky is Veronica Webb! I have been a member of Open Sky for several months and have made 5 purchases with them. I am constantly changing the people that I follow as there are so many choices. 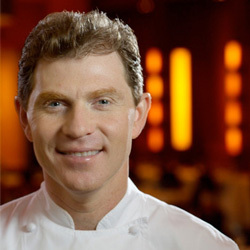 One that I like alot is Bobby Flay. Also, fan favorite of Tom Colicchio. Of course, all the others are also great. No matter how old you are; these experts always have something new to teach us. Done and done… Signed up and checked out site. I’d LOVE to win… My favorite Celebrity on OpenSky would be a toss up between Andrew Zimmern and Buddy Valastro… Both are so… unique! Bradley Bayou, he’s got to be my favorite! Patricia Velasquez has amazing taste and always highlights things I’m dying to buy (like the gorgeous Rosena Sammi solid bracelets). I just joined Open Sky. Please enter me in your Open Sky contest. I have no favorites on Opensky. This is to correct the first one. My favorite celebs are Aida Mollenkamp and Mariel Hemingway. Subscriber, and enjoyer! Trying to get entered into the $500 Open Sky contest. Lidia Bastianich is my favorite chef on Open Sky. She is a real inspiration in her art and her life. Plus we share a somewhat similar experience in immigrating process to the US. Alicia Silverstone is definitely one of my favorites! Already an OpenSky subscriber - So many great curators, but I have ordered most from EcoStilletto and Spriest Greenspan.